Modeling tools set. 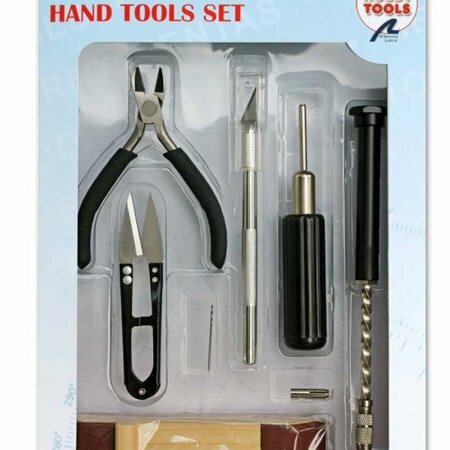 The kit of basic modeling tools brings tools to build your ships, planes and trains models easily: includes cutter, tip nailer, hand drill, oblique cutting pliers, thread tweezers and sander dowel. It includes some of the tools that every modeler should have in the initiation phase. 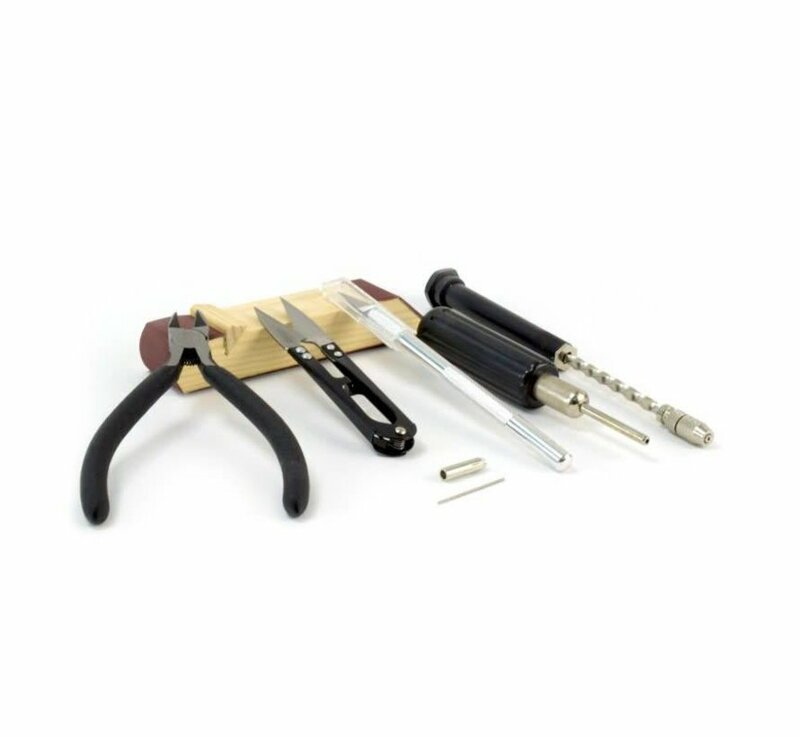 Naval modeling, aerial modeling and rail modeling are lucky with this magnificent toolbox for modeling in wood. 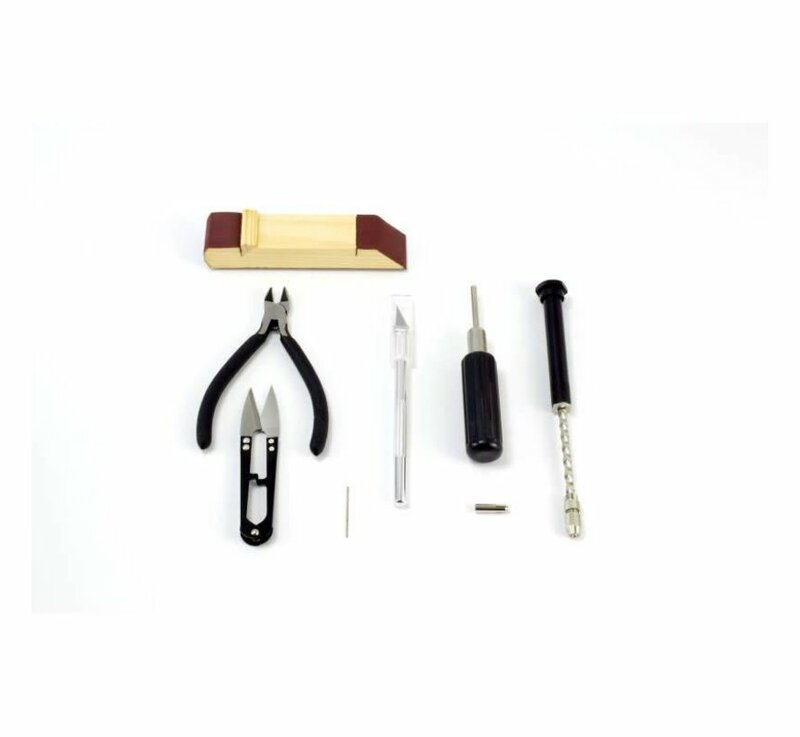 Basic modeller's tool, has many uses as tasks to make in the assembly of our model. 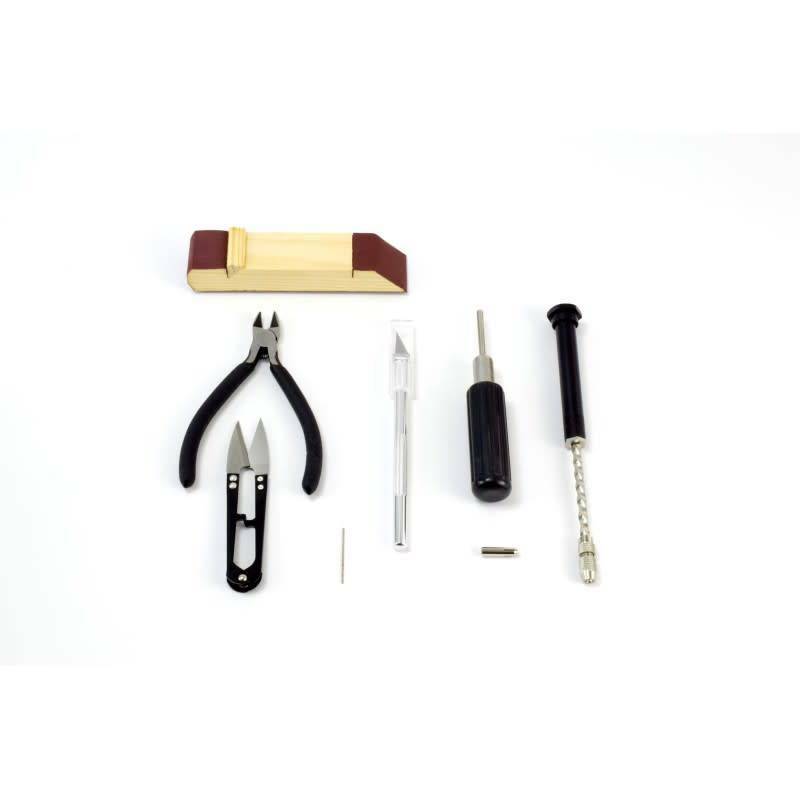 With aluminum handle and interchangeable blade. 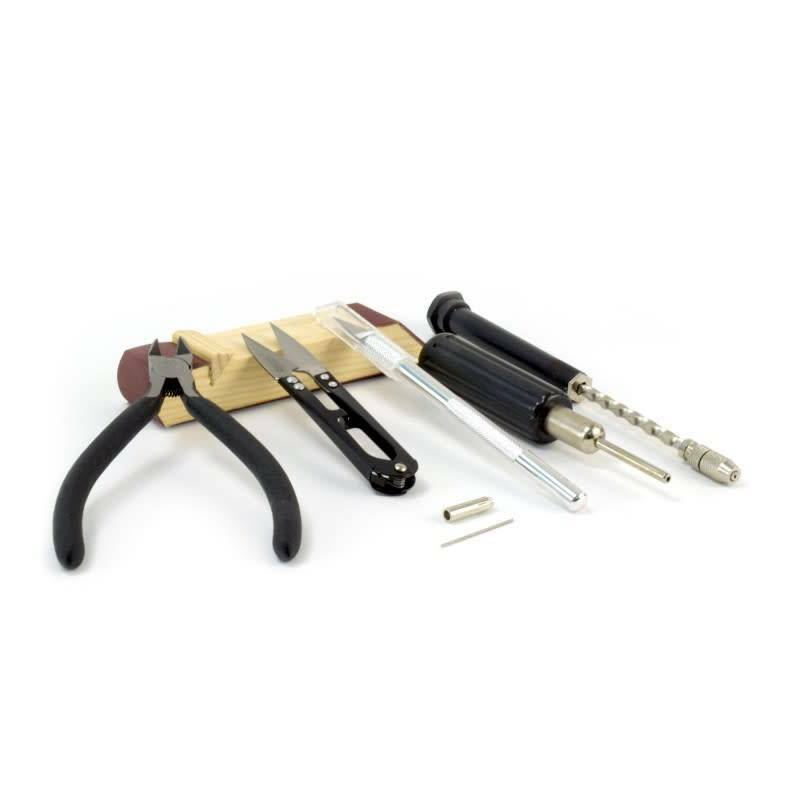 Tool for a greater comfort when nailing brass iron tips, replacing the usual hammer. Specific for naval modeling. We recommend using brass-plated iron nails, easier to sand once the heads are cut. With double caliper and 1 mm drill bit. Perfect for working the details in wood and soft plastic like polystyrene. 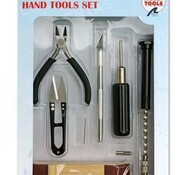 For cutting of wires, plastic, soft metal and wood. 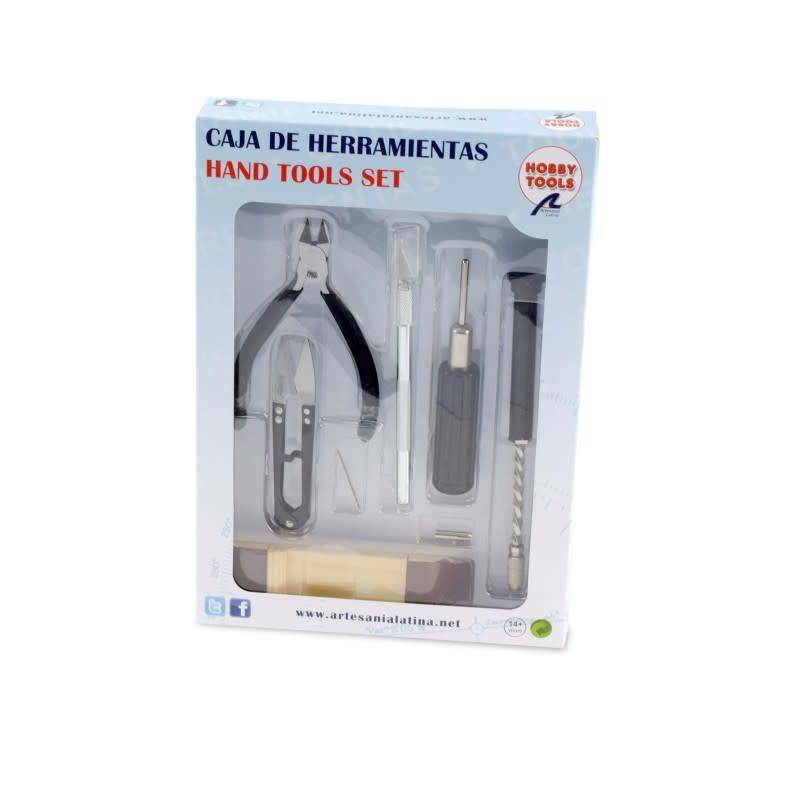 Oblique cutting pliers, with protected anti-slip handle against hardness on your hands. Japanese style, ideal for working with the threads of our models. Precise on the cutting of the threads of the maneuvers of the boats. Easy handling with two fingers and very sharp tips. 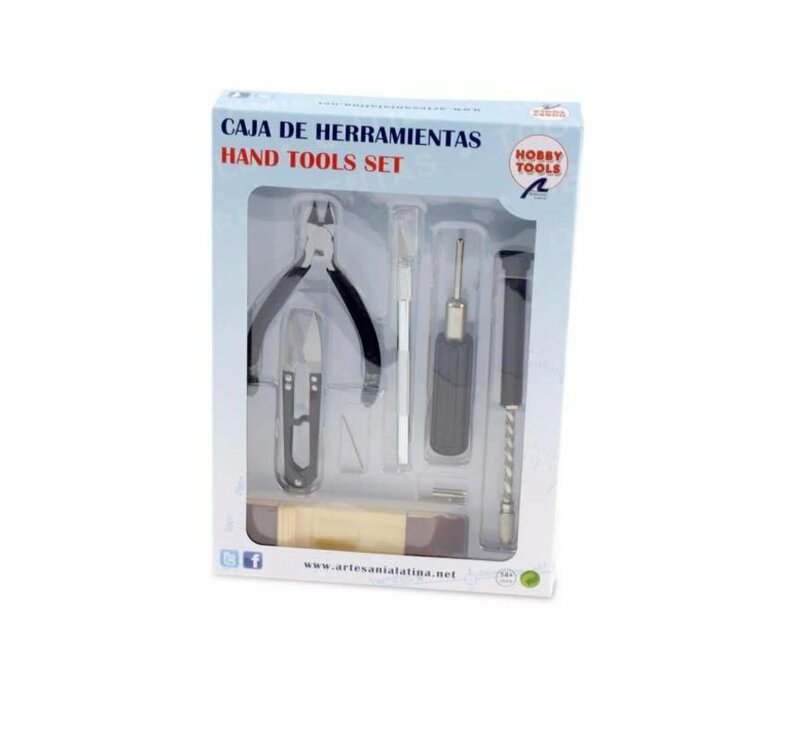 Support for the sandpaper for a more comfortable work, with rounded and sharp shapes to sand with these forms. Ideal for wood because it leaves smooth and homogeneous surfaces. In addition, it is very comfortable in its use because it is ergonomic shape.